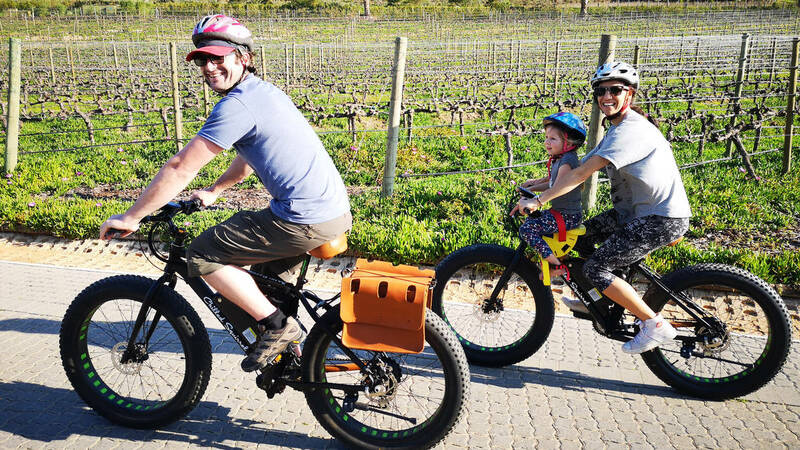 There has never been a better way to experience the winelands than on a bicycle and now electric bicycles makes it even more enjoyable and accessible to the whole family. You have the advantage of soaking up the scenery and surroundings at your own pace while not spending much energy as your e-bike assists you in pedalling. 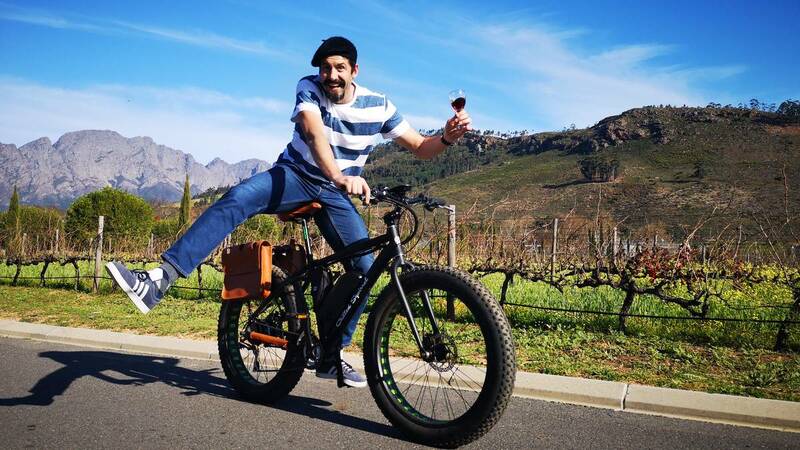 The e-bikes are fitted with comfortable leather seats and saddle bags for easy shopping of wine. 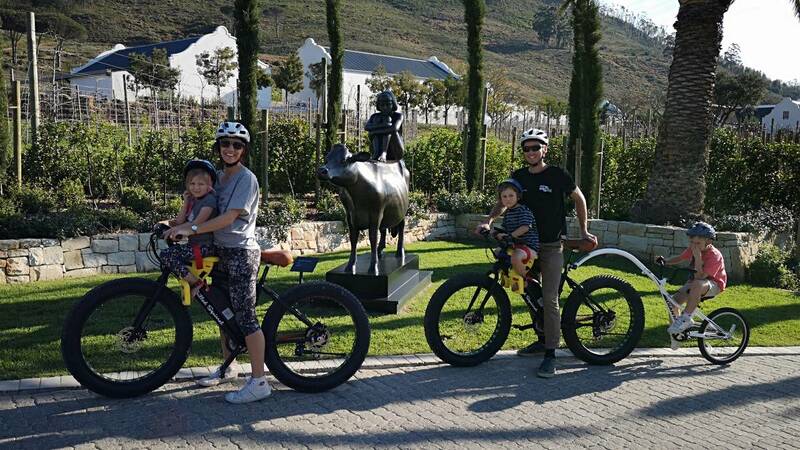 After meeting you guide at River Cafe in the Franschhoek Village – Your Guide will assist you in understanding your e-bike as well as adjusting the seat post and handing out helmets. Your E-Bike Tour will then start as we cycle through breath taking scenery while avoiding some of the main roads. You will visit 2 – 3 wine farms. You will have time to take pictures as we admire the Franschhoek Village and surrounding mountain from different angles. You will also cycle through vineyards and working farms while your guide give you insight on the history of this cultural rich town.